Interested	in	this product? Let's talk! 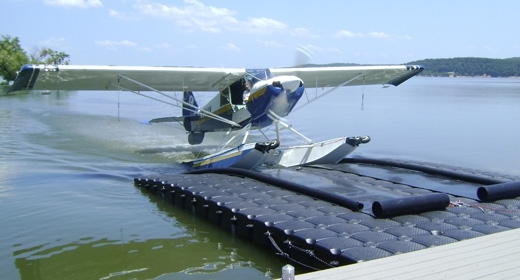 Call us at 1-800-538-3625 to speak with a knowledgeable JetDock representative. 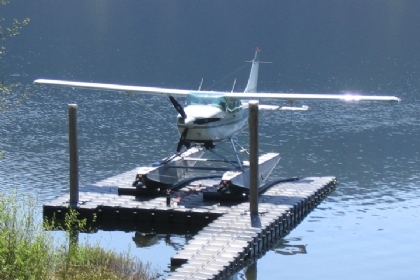 The Economy Floatplane Aquapad drive-on dock is 21'8" wide by 26'8" long, accommodates planes with floats whose distance on center is 70" to 130" inches. 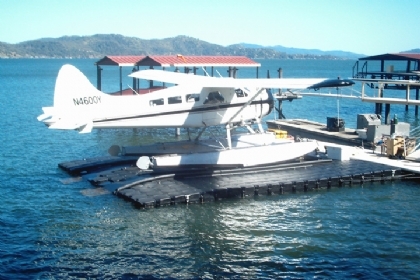 The Universal Floatplane Aquapad drive-on dock is 28'4" wide by 35' long and it accommodates seaplanes with floats whose distance on center is 70" to 130" inches. Both are completely modular, expandable and portable. 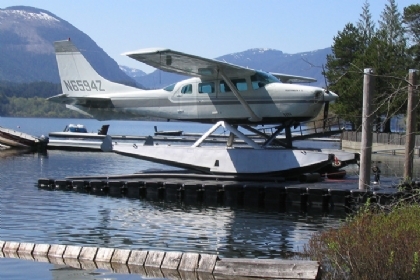 Check out our other seaplane docks or floating walkways for your floatplanes or PWC. Select the thumbail to view larger image. 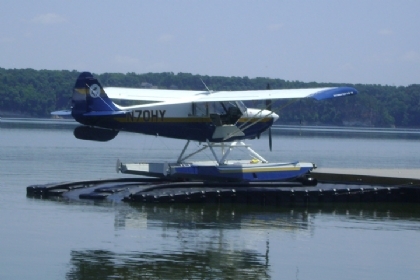 By answering a few quick questions we will be able to tell you which dock or boat lift is the perfect fit for you. Website Copyright JetDock Systems, Inc.